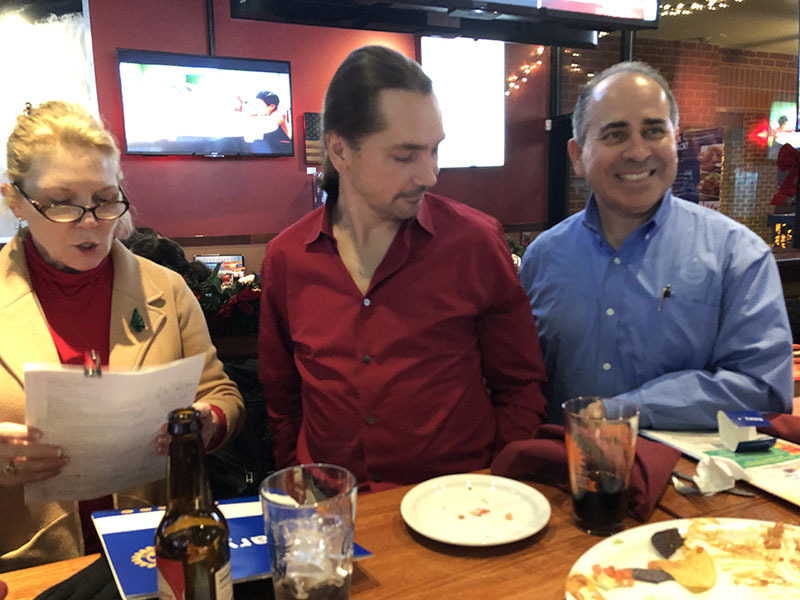 On December 19, 2018 the Rotary Club of Alexandria Central Club installed our newest member, Mark Shiffer at our weekly meeting. Mark accepted his official Certificate of Membership from Club Secretary, Joan Renner and was presented with his Rotary lapel pin by club’s membership chair and his club sponsor, George Valenzuela. Mark is currently employed at Cambridge Climate Institute. We are thrilled to have Mark as our newest member, and we are grateful for all his talents that he brings to the Alexandria Central. The Rotary Club of Alexandria Central meets every Wednesday at 6:30 PM at the Glory Days Restaurant located in Alexandria VA. If you have any questions about the Rotary Club of Alexandria Central or Rotary International, please contact us.